Disclosure: This post was sponsored by Honeysuckle White and I was compensated for my time in creating it. Feeding your family a healthy meal isn’t always easy or affordable. In 2016 I decided that our family was going to start eating healthier and I was going to do what ever it takes. 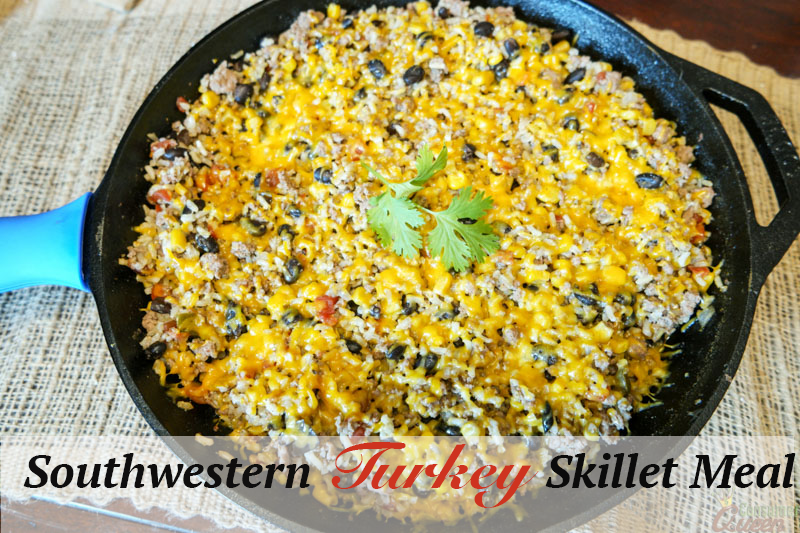 I started looking at how I could switch up the ingredients in the recipes I used like the Southwestern Turkey Skillet Meal recipe at the bottom of this post. In this recipe I decided to switch out my ground beef for Honeysuckle White Ground Turkey. Chicken is often a go-to source for lean protein for me, but I found out that turkey actually has more protein, fewer calories and less total fat and cholesterol. Not to mention it’s very affordable. I found that by slowly switching up the ingredients a little at a time, made it an easier transition to eat healthier for my family. After all my husband and kids are very picky eaters. They literally had no clue that they were eating ground turkey until I told them and they loved the dish. If you have never tried ground turkey, you should. 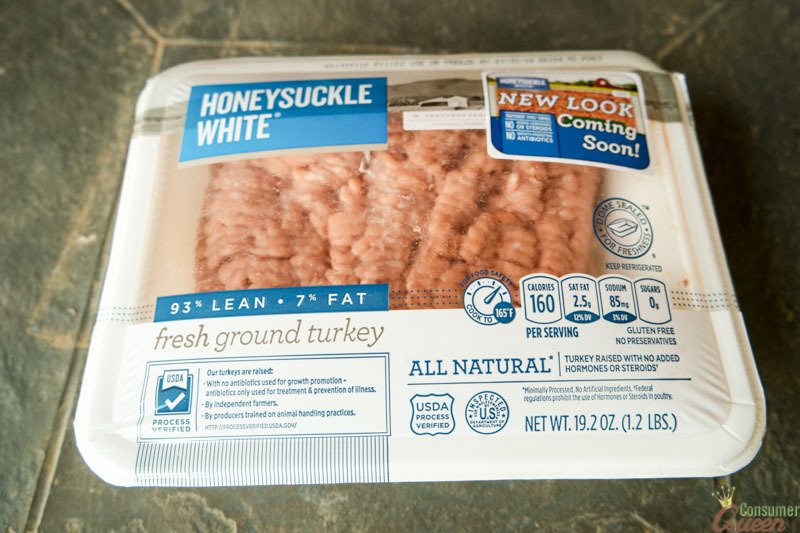 Shady Brook Farms and Honeysuckle White turkeys are raised without growth-promoting antibiotics on more than 700 independent family farms and are available without a premium price tag. They offer more than just ground turkey. They have brats, sausages, burgers and more and you can check out all their products here. This year, make a New Year’s resolution to feed your family better without breaking your budget. How many of you have already tried cooking with turkey and what are some your favorite things to make? Brown turkey meat with onion in a skillet for about 5 -10 mins or until browned. Stir in salsa, corn, stock, taco seasoning, black beans, green chili's and bring to a boil. Stir in rice. Cover and remove from heat. You want to let it stand for 15 minutes (or reduce heat and simmer) or until liquid is absorbed. Sprinle cheese on top and cover it back up and let cheese melt. Turn it on low if it isn't melting. Serve on a plate and top with lettuce, tomato, cilantro and sour cream. I like to serve with tortilla chips or wrapped in a tortilla. You can also add black olives or diced bell pepper if you like them. (my kids are picky) If you don't want green chilis substitute a can of rotel.